Kuala Lumpur, 28 March 2019 – In collaboration with Klairmont Kollections, Goodyear unveiled the restored Golden Sahara II at the 2019 Geneva International Motor Show. An iconic custom car of the 1950s and 60s, the Golden Sahara II was one of the first concepts of autonomous vehicles and was fitted with glowing, see-through tyres that were custom developed by Goodyear. The car’s tyres were developed by Goodyear using Neothane, a translucent form of synthetic rubber, and contained internal lighting, which allowed them to glow. 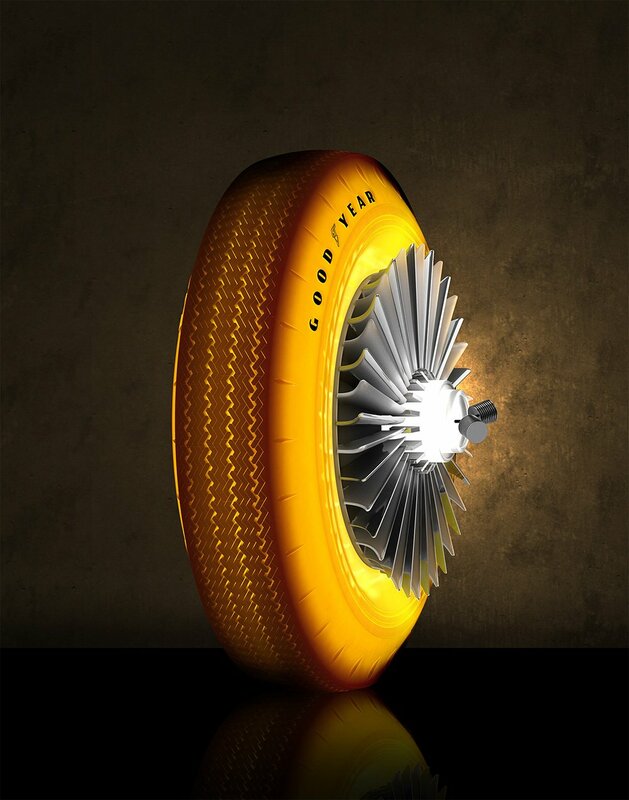 This was part of broader research by Goodyear into the feasibility of tyres that could help improve visibility in bad weather conditions or be wired to light up when a driver hit the brakes. In its heyday, the Golden Sahara II toured the United States, featuring on television and in films. It then sat in a garage for the best part of 50 years until Klairmont Kollections purchased the vehicle from Mecum Auctions in May 2018. The Golden Sahara II was restored with the help of Speakeasy Customs and Classics in Chicago and was presented at Geneva on four, newly-built Goodyear translucent tyres.